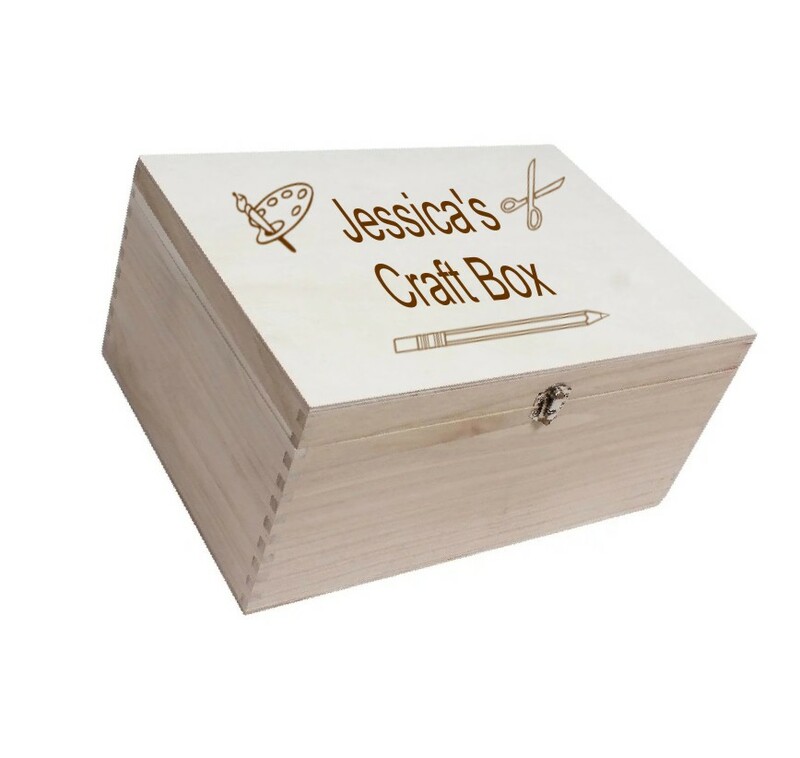 Personalised Engraved Wooden Craft/Art Box. This fantastic box measures 28 x 21 x 15 cm, perfect size to fit all of your Arts & Crafts necessities in. All you need to do is let us know the name to engrave and we will do the rest.